-Past Vice Chairman of the World Championship Blacksmith Competition, held at the Calgary Stampede annually for the last 30+ years. -Past Chairman of the Canadian Horsehoeing Championships, also held annually in Calgary for the last 10+ years. -Instructed in a Vet/Farrier weekend, sponsored by the AAEP, at Tuskeegee University, AL. These events are held all over the United States and offer farriers/vets to work side by side, sharing information with vet students, about horse feet and how they should be balanced and trimmed. -Speaking to 4-H or Pony Club groups about equine atanomy and importance of regular maintenance for their horses. 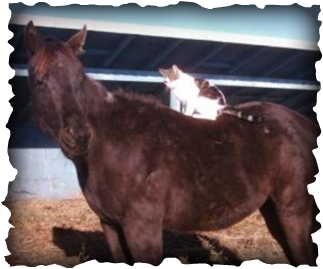 -Horse Owner Hoofcare clinics are also something I have run in the past and continue to do so here in Ontario. 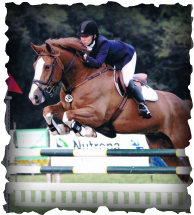 -Guest Speaker for Equine Guelph in a course entitled "Functional Equine Anatomy". Shoeing horses has taken me all over North America, for work and play. I now reside in Grand Valley, Ontario. Right from the start I have been involved with continuing education and competitive blacksmithing/horseshoeing and I'm still heavily involved in both. 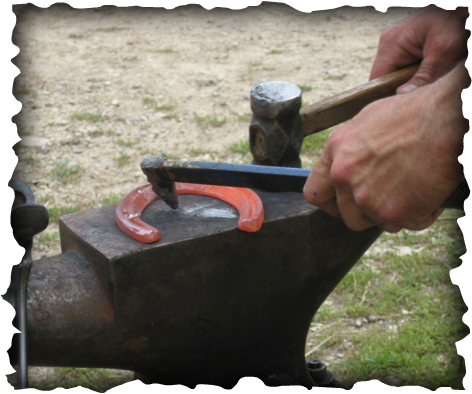 During my career, sometimes on a weekly basis, I am asked if I specialize in any particular type of shoeing. My reply has always been the same,"just sound horses". My career has offered me the opportunity to shoe horses in many different climates, conditions and disciplines. 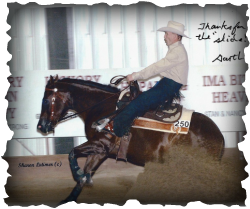 I have shod horses for Western/English disciplines alike, at high levels of competition. This profession, about which I'm so passionate, will take me three life times to learn everything I need to know. Every day is a new learning experience, I also make it a practice to participate in continuing education opportunities. Being involved with competitions as a competitor or organizer constantly challenges me to sharpen my skills; the horses I shoe are the benefactors. I shoe my horses with handmade shoes because I am able to provide each individual horse, the support, traction or protection they need.